John Cornwall’s trail blazing social justice and health reforms in the 1970s and 80s left a lasting legacy on public health policy in Australia. After Work, After Play, After All takes us on a journey from Cornwall’s modest beginnings. Growing up a Catholic kid in country Victoria. Life as a rural vet in the 60s. His political blooding in the 70s when South Australian Labor Premier Don Dunstan was at the height of his powers. As South Australia’s Health Minister, John Cornwall’s radical transformation of the public health system set many firsts – from banning sponsorship of sport by tobacco companies and decriminalising marijuana possession for personal use to launching one of the world’s largest lead pollution clean-up programs in the smelter town of Port Pirie. But by the late 1980s the Australian political climate was changing. Economic rationalism was the new mantra. Poll-led policy, rather than bold reform, was the preferred leadership style of the new generation of Labor leaders, including South Australian Premier John Bannon. 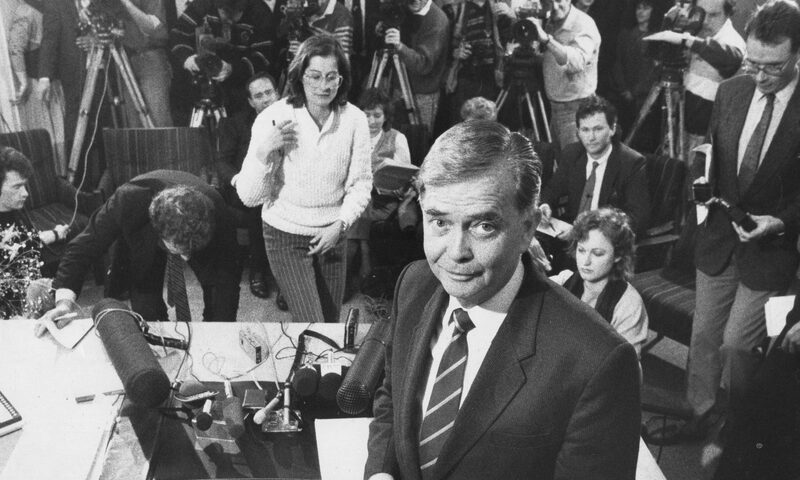 John Cornwall’s fiery defence of the introduction of Medicare in 1984 would ultimately cost him his political career. At the height of the Medicare debate Cornwall called a press conference and – under the gun from the media pack – made intemperate remarks about an orthopaedic surgeon who promptly sued for defamation. Health Minister’s Conference, Hobart 1983 with Neil Blewett and NSW Minister Laurie Brereton. Four years later, in 1988, he found himself on the witness stand before a hostile judge whose final judgment, says Cornwall, was delivered with a ‘malign ferocity’. Supporters rallied behind John Cornwall, including union leaders who championed Cornwall’s plight as “on the spot, for being spot on”. But Premier Bannon – famously risk-averse – decided it was easier to sack Cornwall from his Cabinet than risk a dip in the polls. On his departure from politics, the senior political reporter at The Advertiser, Rex Jory, declared Cornwall ‘the most innovative and effective health minister in SA history’. Life in Australian politics, reflects Cornwall, is full of extraordinary challenges and intoxicating possibilities. But it’s also a brutal business that almost always ends in tears.